One of the biggest names in Philadelphia cheesesteak is making a move up the New Jersey Turnpike to New York City — and has its sights set on opening a Queens location. 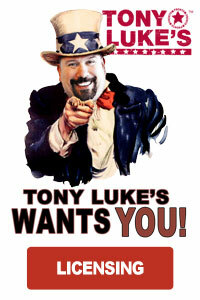 Eater reported on Feb. 7 that Tony Luke’s is opening seven new cheesesteak shops in the New York City metro area. One location is set to open this spring on Flatbush Avenue in Downtown Brooklyn, and the chain plans on opening one shop in each of the five boroughs, as well as Yonkers and Long Island. As of Feb. 7, the exact location of the Queens Tony Luke’s has yet to be announced, but Queens is on the list of locations that Tony Luke’s is “invading,” as noted on the restaurant’s official website. It’s not Tony Luke’s first foray into the Big Apple. In 2005, according to Eater, the cheesesteak chain opened an eatery on Ninth Avenue in Manhattan, but the shop would close years later. First opened in 1992, Tony Luke’s is considered one of the most famous cheesesteak purveyors in the “City of Brotherly Love.” For those who’ve never had one, the typical Philadelphia cheesesteak includes thin-cut fried ribeye steak on a hoagie (hero) roll with grilled onions and a generous smear of Cheez-Wiz (though you could opt for American or Provolone cheese instead of the Wiz). On its website, Tony Luke’s says that it makes all of its bread in-house and uses 100 percent hormone- and steroid-free ribeye steak. Along with cheesesteak, Tony Luke’s also offers the roast pork sandwich, another authentic Philly hoagie featuring thin-cut pork topped with Provolone cheese and sautéed broccoli rabe or spinach. All sandwiches are cooked to order. 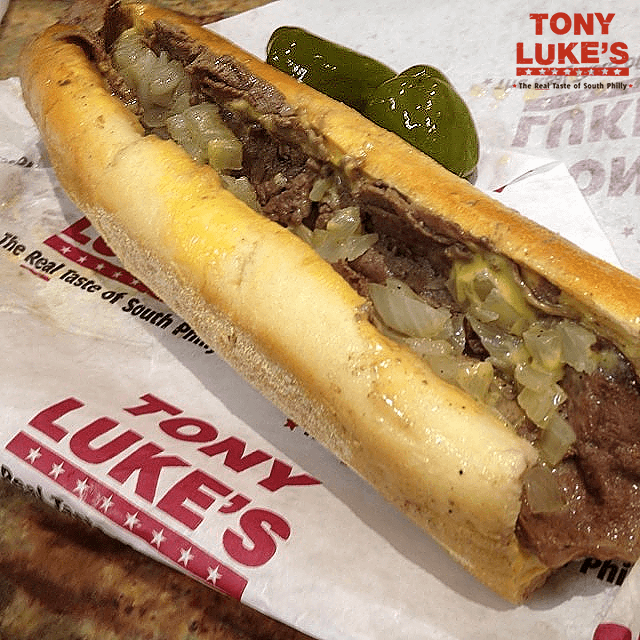 Unlike other famed Philly steak slingers such as Pat’s and Geno’s (the two famously feuding cheesesteak competitors located in South Philly), Tony Luke’s expanded its reach beyond Philadelphia. The majority of Tony Luke’s locations are clustered in the greater Philadelphia area and southern New Jersey, though there are also eateries in Ocean City, Maryland; Washington, D.C., and Houston, Texas. QNS reached out to MMB Management, which is handling the Tony Luke expansion, for further comment about the Queens location, and is awaiting a response. Tony Luke's named Best Cheesesteak in Philly by ZAGAT Dining Guide Second Year In A Row!